In the interest of disclosure, I did receive the “Wonder Pack” for free so that I could review it for this blog. Wonder Workshop recently contacted a few bloggers to see if we would be interested in reviewing their new robots, Dash and Dot. Knowing my students would be more than happy to test out anything new, I readily agreed. Within a week, I had a package at my doorstep that included the two robots and all of their accessories. In the meantime, our PTA had also purchased a Dash robot for our Maker Studio, B.O.S.S. HQ. This led to our first challenge – coming up with another name. When you connect your robots with the iPad, you don’t want to them to have the same moniker or confusion will ensue. So my daughter suggested the name Fitzgerald, which seems to delight my students. Dash and Fitzgerald have made their appearances to my 5th graders, 1st graders, and Maker Club (2nd-4th) so far. I am allowing everyone to explore the robot features a bit before I start giving the students some programming challenges. Currently, there are 4 free apps that can be downloaded for use with Dash and the small companion robot, Dot. The robots are compatible with iOS and Android – but not all of the apps work with all devices, so be sure to check out this page to find out if you have the means for controlling your robot. The “Go” app is the first one all of the students try. It allows you to connect with the robots, do some customization of colors and sounds, and remotely drive your robot. The “Path” app is fun for more driving and creative thinking. “Xylo” is an app that can be used only with Dash and the xylophone, which must be purchased separately. It’s a bit tricky to calibrate the robot to play. However, once you get everything set up, there are several pre-loaded songs that can be played. Even more exciting is the ability to compose your own songs for Dash. (You can see the video of one song a 1st graders insisted on programming on his own below.) You can also direct Dash to move at certain points in the song. In essence, you can have your own little robot marching band. 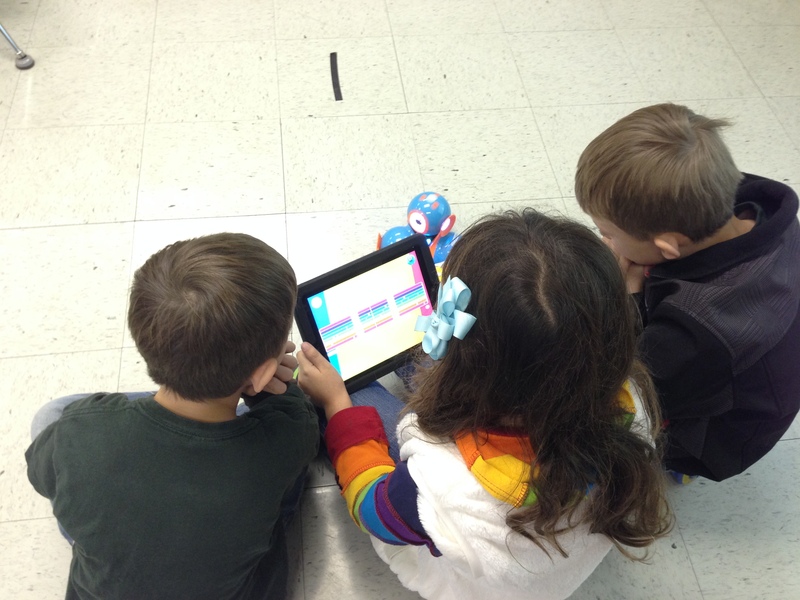 “Blockly” is where your students will really be able to have fun. Using programming blocks similar to Scratch or Hopscotch, they can direct Dash to react to your voice and perform other numerous other interesting actions. Susan over at “The Digital Scoop” has already come up with some great challenges for her students to use with Blockly. You can view the first two here and here. I think Blockly is the app that will have the most sticking power with these robots with lots of potential for creativity and learning more about programming. We haven’t tested out the Lego connectors, yet. But those are bound to spark some interesting inventions, I have a feeling. So far my students haven’t really played with Dot. 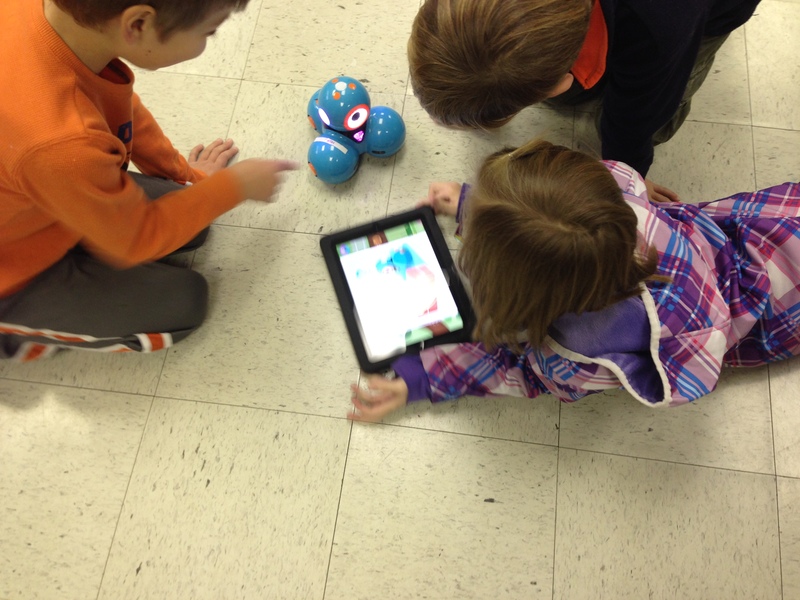 Although Dot can be programmed a bit, and interacts with Dash, Dot has no wheels. You can see some ideas for Dot’s use here, but my students haven’t gotten to that point yet. I always appreciate your perspective on educational uses for items am thinking of taking the plunge and getting Dot and Dash. Could a class do as much as you are doing with only the one pair? Knowing budgets are what they are, what would you recommend in terms of how to spend the money? Is it possible to just get Dash, or 2 dashes as opposed to the pair of Dot and Dash? How did your PTA just get a Dash? Also, do you think the wonder pack is worth the extra $70 (Robots on Amazon are around $230 for Dot and Dash, with the pack are about $300)? 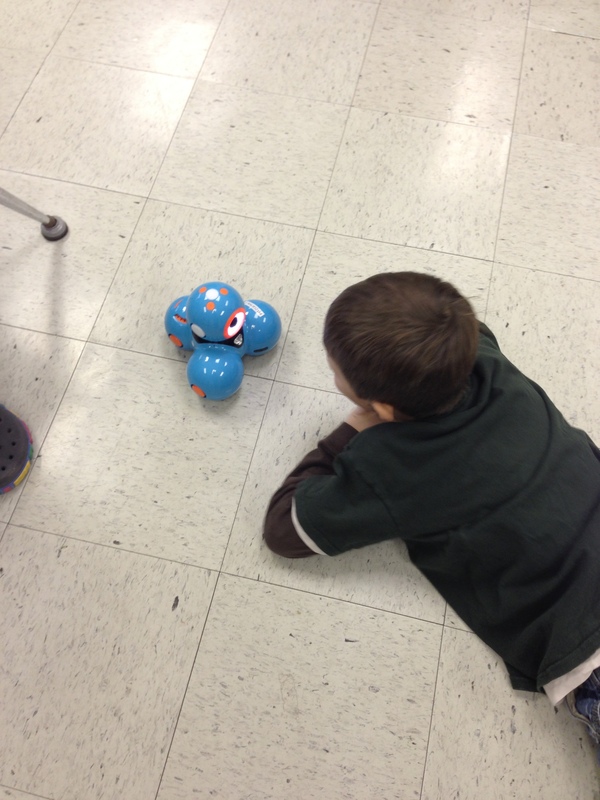 I work with K-5 GT in an urban ESL school…what age range do you think the robots would capture? Thanks for any feedback! So far, my GT students from 1st-5th (I don’t have Kinder until the end of February) are delighted with Dash. To be honest, I do think it’s worth getting the Wonder Pack. The students haven’t found a lot to do with Dot yet, but have gotten pretty creative with the accessories. If you go through the Wonder Workshop site, you can get just Dash, though. How many students do you have in your classes? Each group of kids is between 10-15. Aren’t the accessories the wonder pack? Or do I have that wrong? Is one dash enough for a group that size? Yes, all of the accessories and Dot are included in the Wonder Pack. Dash seems to work best with small groups (2 or 3 is ideal with up to maybe 6 or 7 max). You can do rotations if one is all that your budget can handle right now.